“Go look for hidden Mickeys,” my husband said with a wave of his hand. Our family of four had just checked into our room at Disney’s Animal Kingdom Lodge. The kids were bouncing off the walls at the realization that we’d finally arrived at the Happiest Place on Earth. But my husband and I needed them to stop bouncing and get out of our way so we could unpack. 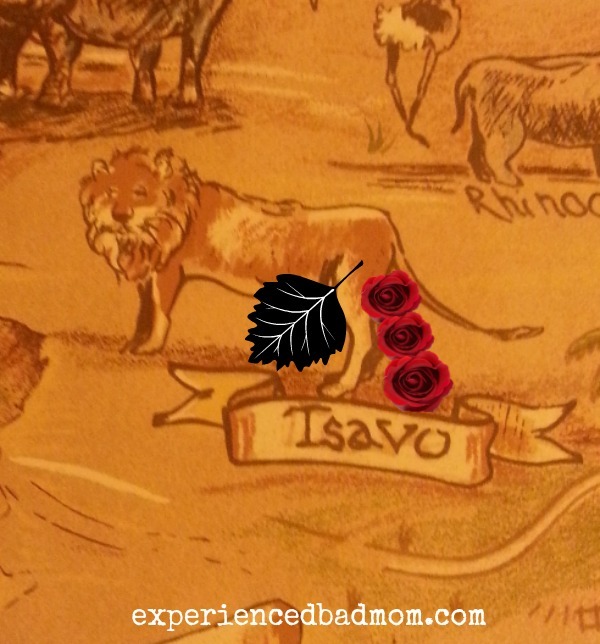 So the kids scoured the wallpaper in our Animal Kingdom Lodge room while my husband and I unpacked. “DAD! MOM! COME HERE!” my son cried. “Did you find one, buddy?” my husband asked our son. And we couldn’t believe what we found. Once we stopped alternating between laughing and being freaked out, we called to report the markings and a Disney cast member came and erased the offending appendages and droppings. Have you ever looked for hidden Mickeys? Hehe, we have been once, and the only “Hidden Mickey” hunting we did was with the pins. One of the Mickey attendants told us about them, and our kids were on the hunt for a week…. That hidden Mickey thing has quite the cult following! I didn’t know about it for years, and to be honest, I’m crap at finding them.